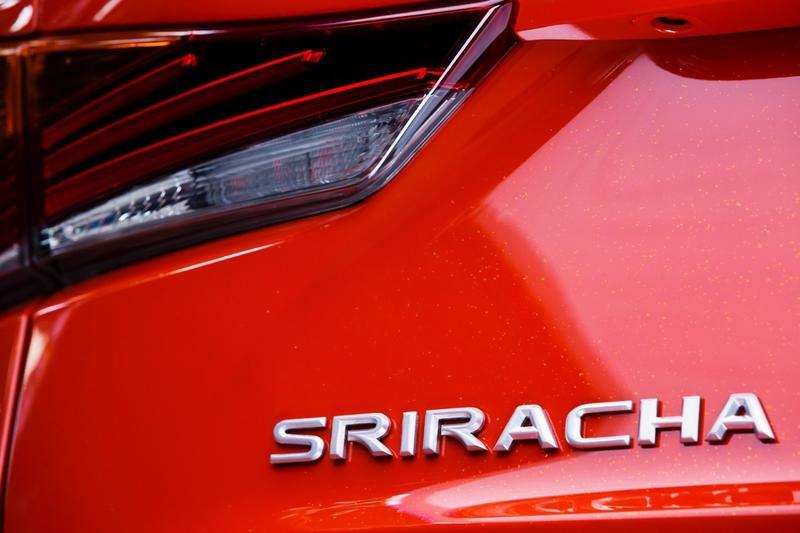 Lexus celebrated the launch of the 2017 IS by creating a spicier, customized version of the sports sedan: The Lexus Sriracha IS. 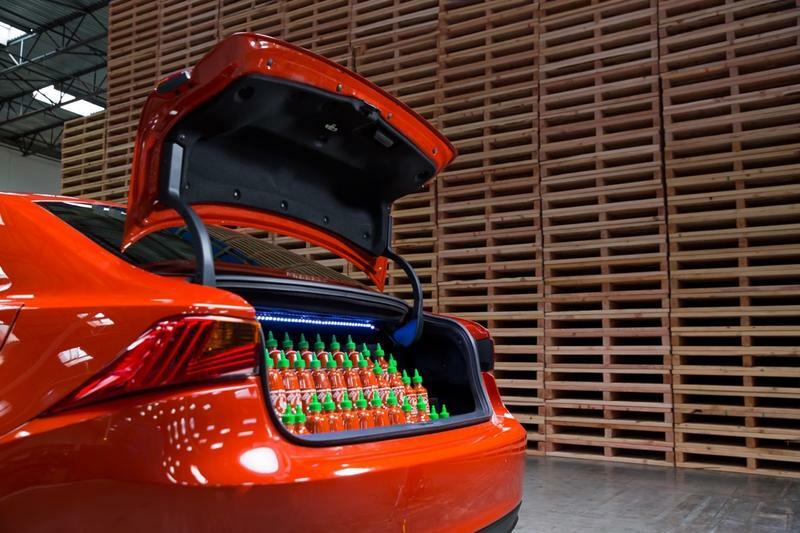 That’s right the favorite hot sauce from Huy Fong Foods is now alive in car form. 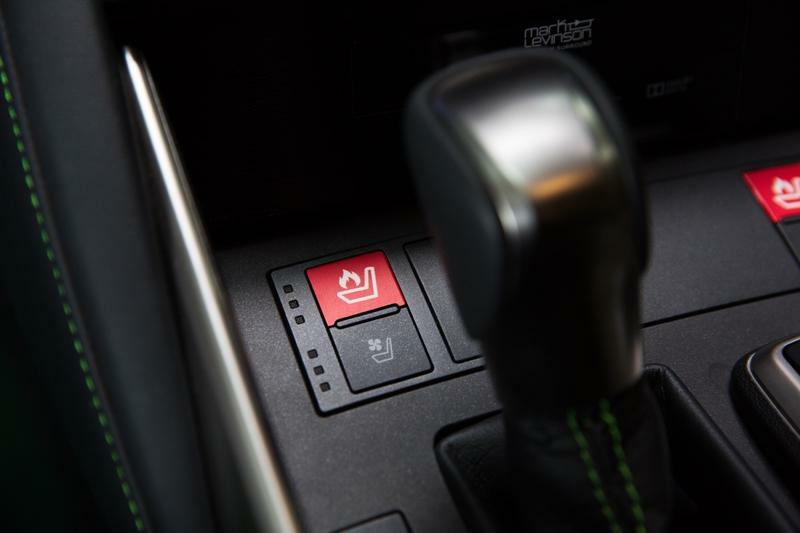 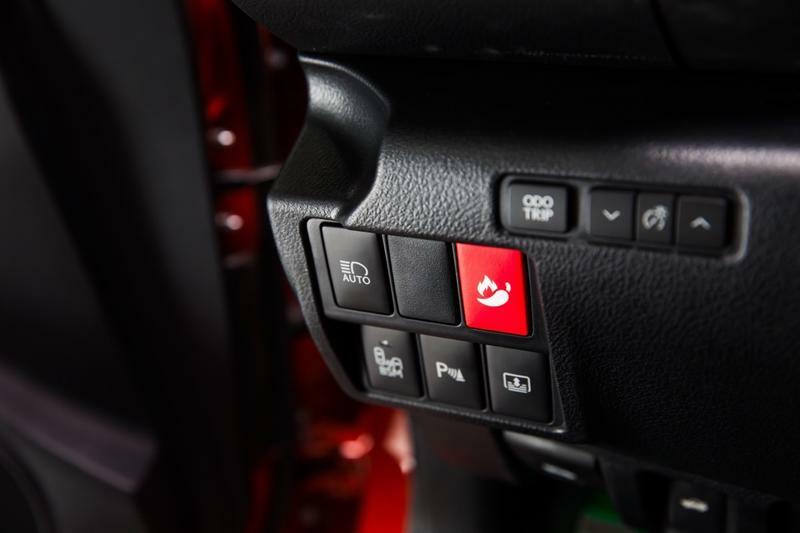 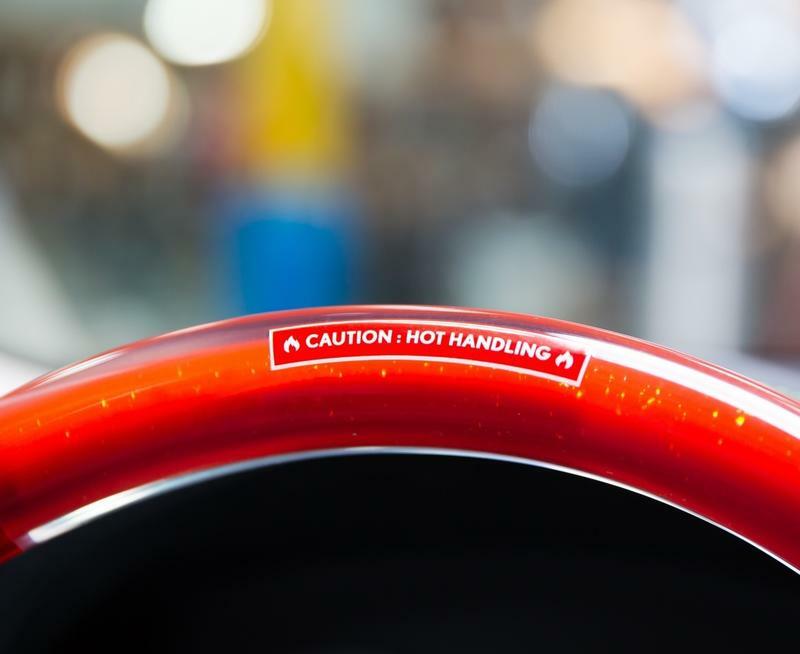 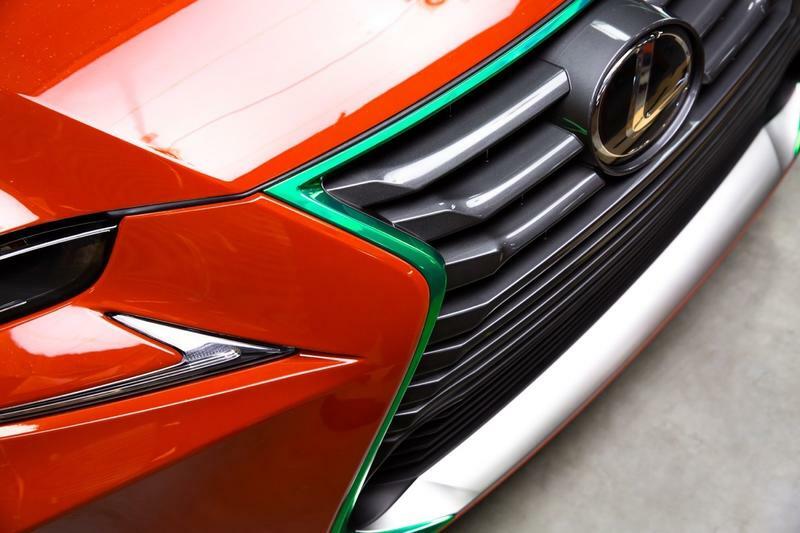 Lexus commissioned the team at West Coast Customs to create a one of a kind car complete with Sriracha paint, Sriracha injected steering wheel, Sriracha hot seat warmers and a Sriracha driving mode that’s tuned for faster gear changes. 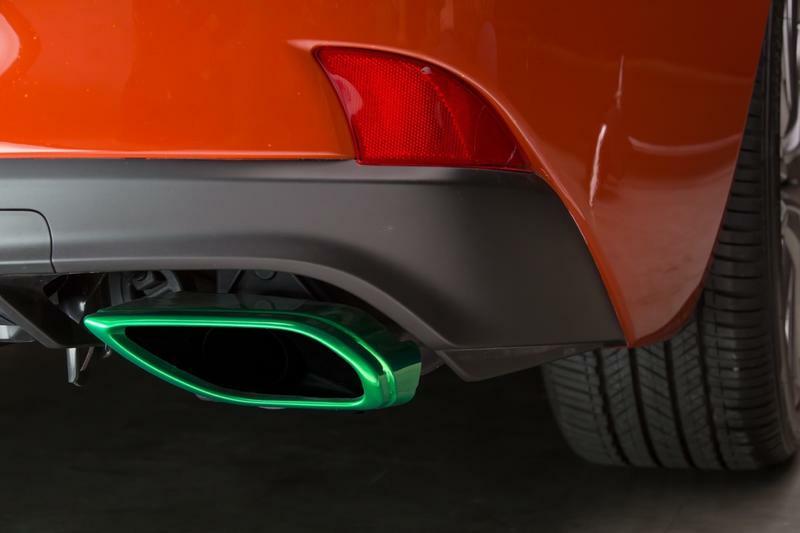 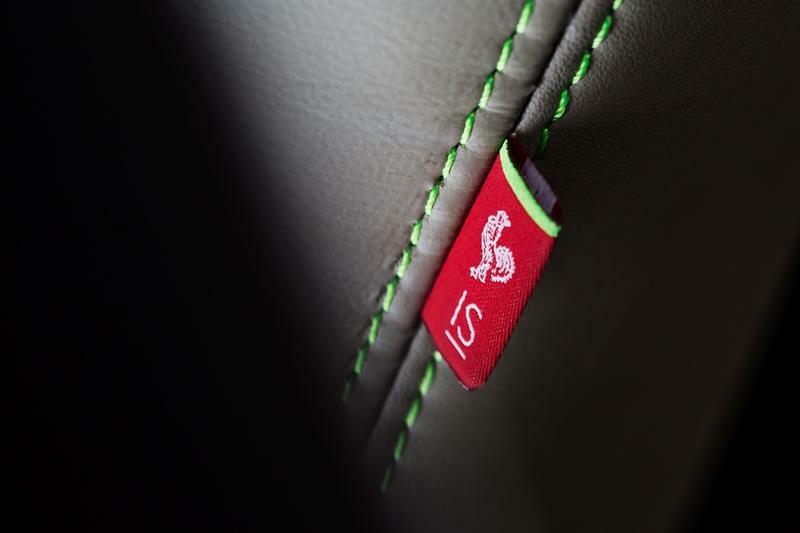 Throughout the rest of the car you’ll see Sriracha elements like recognizable Huy Fong rooster logo on the seats and custom badging. 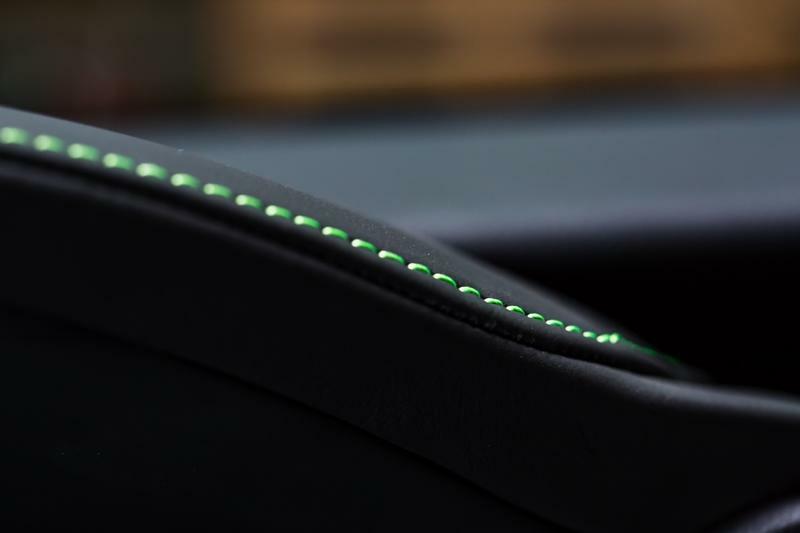 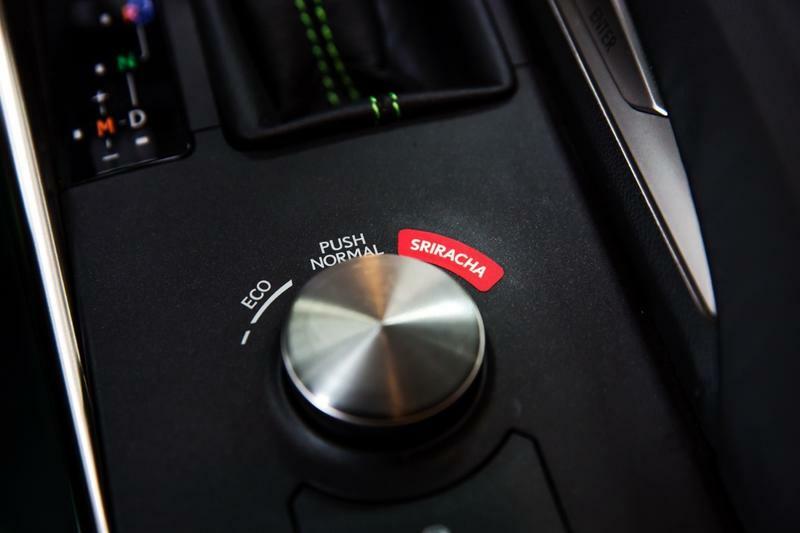 There’s also elements of Sriracha “bottle-cap green” accents on the spindle grille, calipers, mood lighting and seat stitching. 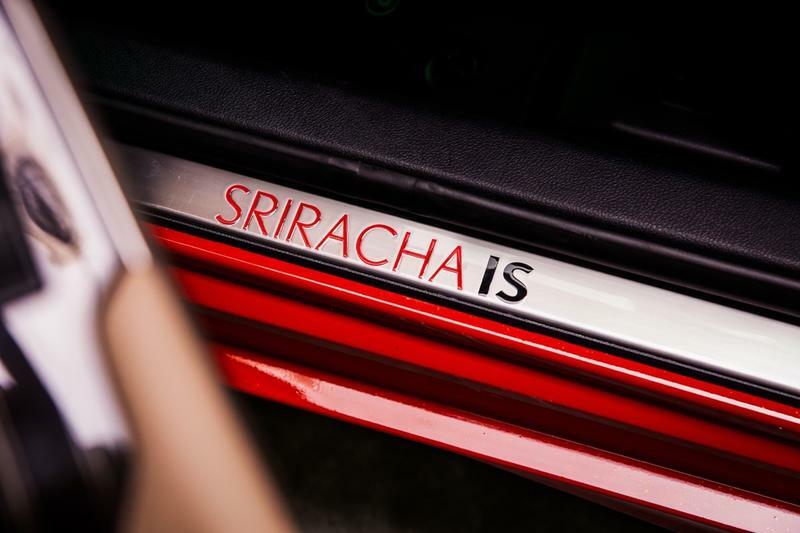 Of course there’s also a fully stocked trunk filled with Sriracha, but if you’re in a need of emergency hot sauce, the key fob is also equipped with an emergency chili button that dispenses hot sauce. 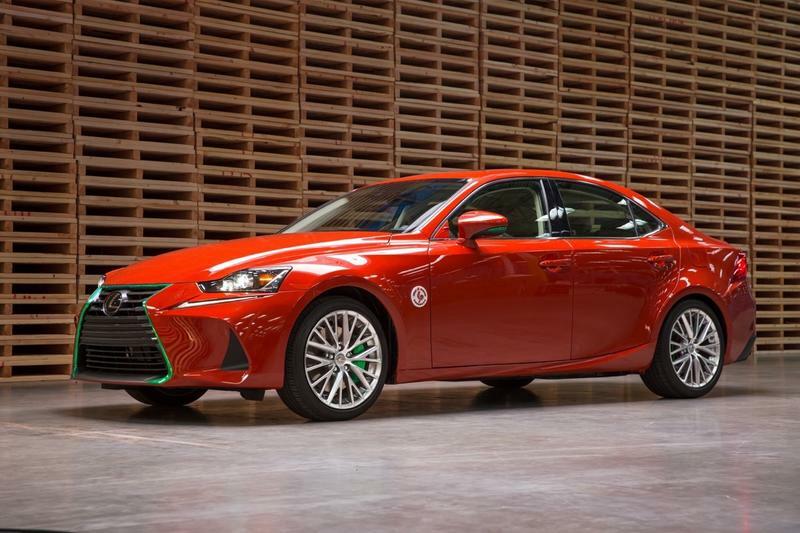 This model is obviously a highly customized version of the 2017 Lexus IS and certainly isn’t for everyone, but you have to admit it is a “hot” car. 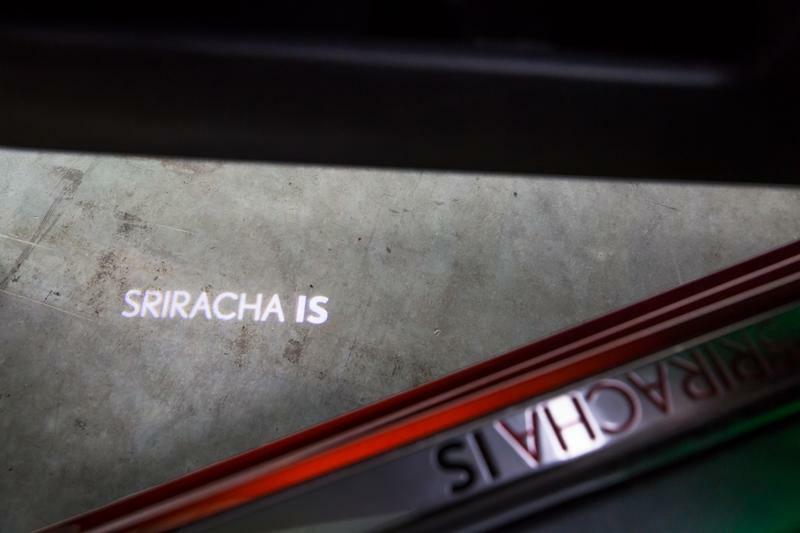 I’m kind of digging the Sriracha paint job and that Sriracha injected steering wheel really pops I know a lot of Sriracha addicts out there that would certainly love to take this IS for a spin. 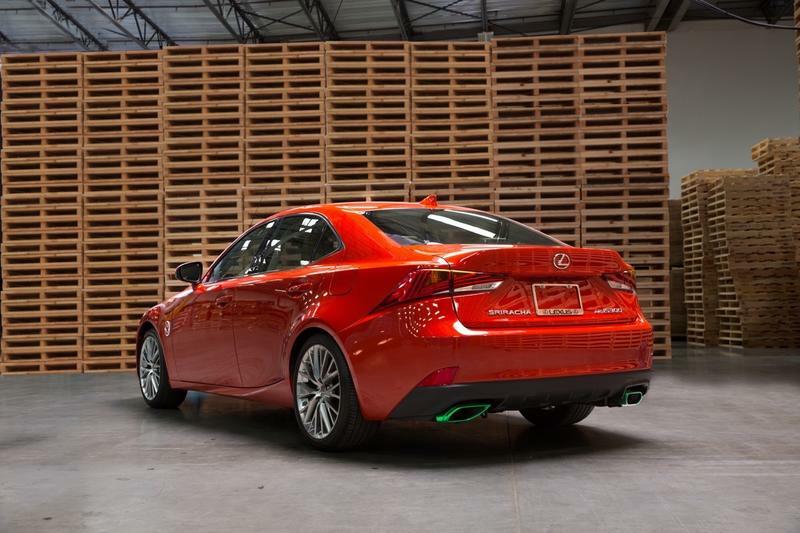 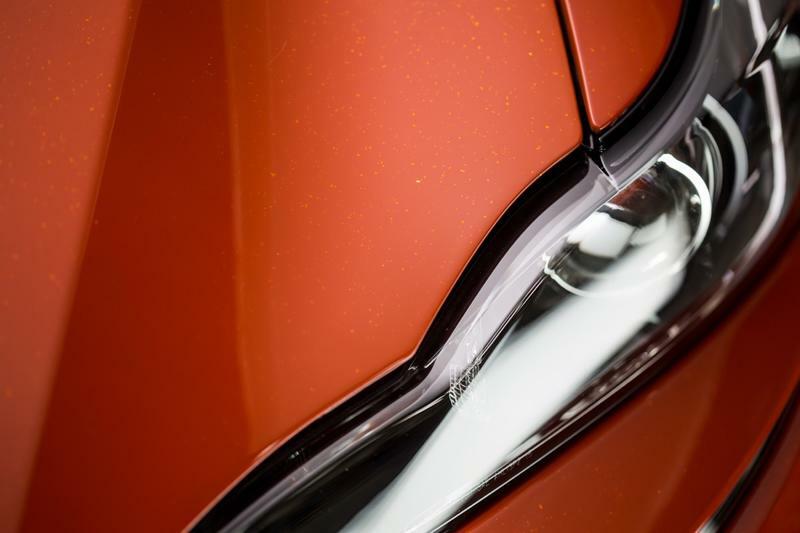 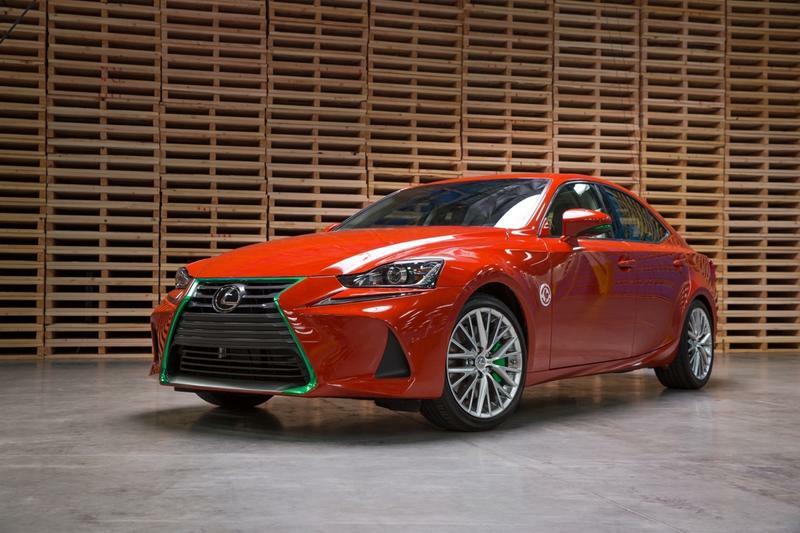 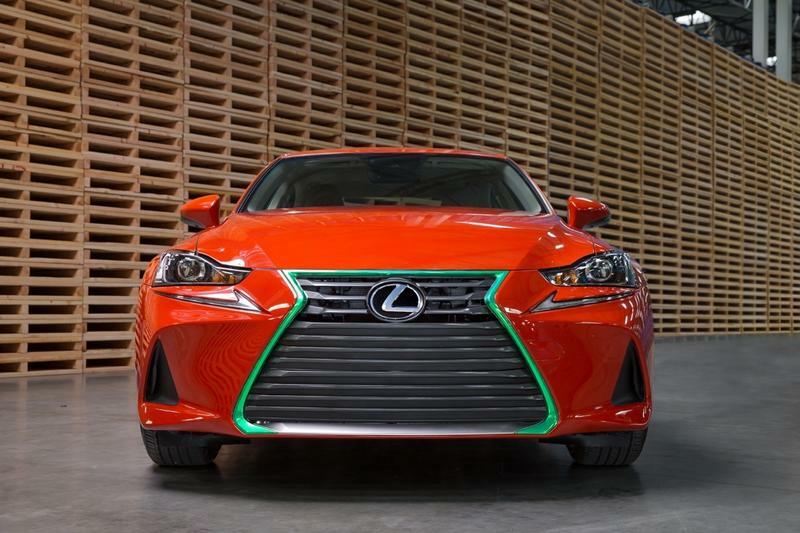 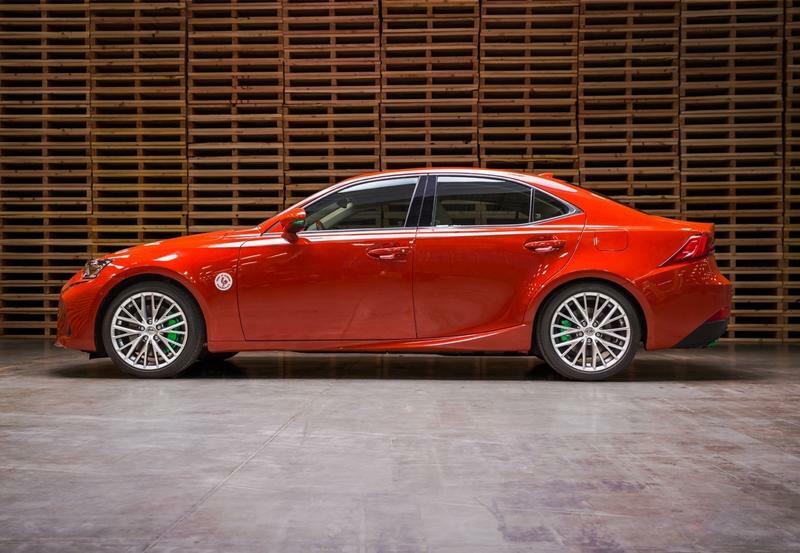 The custom Lexus Sriracha IS will be on display at the LA Auto Show, Nov. 18 to Nov. 27.